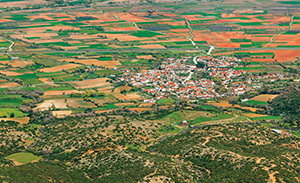 The prefecture of Xanthi includes the area from the mountains of Rodopi, with the virgin woods and rich flora and fauna, surrounded by the Nestos River and other smaller rivers that flow into the Aegean Sea, the Thracian sea, and the Vistonida lake to the south of the region. It is an agricultural area producing tobacco, cotton, grain and vegetables. The old town of Xanthi is characteristic of the traditional culture and is known as "the city of a thousand colours". It is worth visiting during the carnival (February or March - dates change) and during the Xanthi festival (beginning September). Do not miss the Xanthi bazaar every Saturday. Situated near the Greek (7 km) and Bulgarian (20 km) borders, this city is famed for its many mosques and minarets. Visit the ruins of the ancient palace of the Sultans and the Selimiye Mosque, one of the most important monuments in this ancient province; built in 1575 with the highest minarets in Turkey, at 70.9 meters and a cupola three or four feet higher than that of St. Sophia in Istanbul. The mosque depicts Turkish marble crafts and is covered with valuable tiles and fine paintings. Don’t miss visiting the Buy Ali Pasha (traditional covered market), the Archaeological Museum, the Mosque of Vegiazit, the old Bezesteni and Jewish Synagogue. Please ask at the hotel reception for requirements to enter Turkey. The statue of the Winged Victory (Nike) of Samothrace at has made the island famous worldwide. The island's most famous site is the Sanctuary of the Great Gods. This was the home of the 2.5m marble statue of Nike, dating from about 190 BC. The statue was discovered in pieces on the island in 1863 by the French archaeologist Charles Champoiseau, and is now - headless - in the Louvre Museum in Paris. Moving to neighbouring Makri you can visit the "cave of the Cyclops' and the prehistoric settlement, the brilliant Byzantine church of St. Anastasia and the excavations of Byzantine churches. Don’t miss visiting the towers and hammam, the tavernas and the crystal beaches.